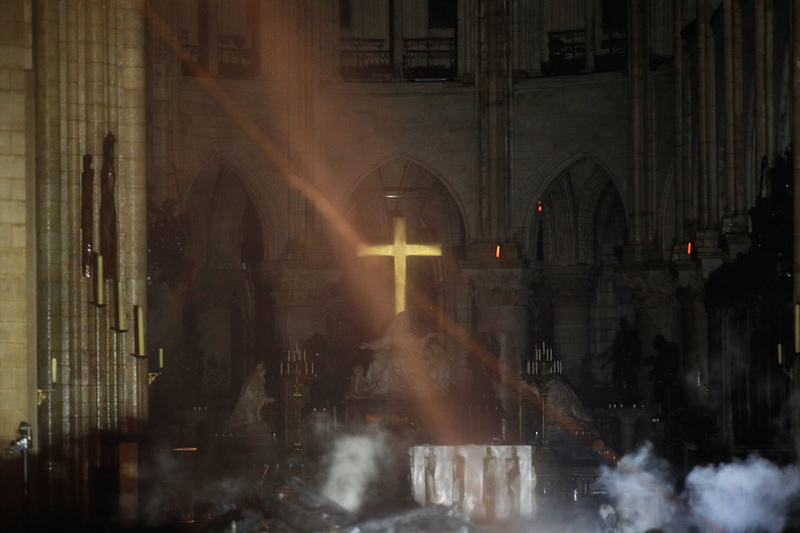 Yesterday, the world looked on in horror as one of the world&apos;s foremost religious and cultural monuments, the Notre Dame Cathedral in Paris, burned in a shocking blaze, and new pictures have shown the extent of the damage inside the 850-year-old site. 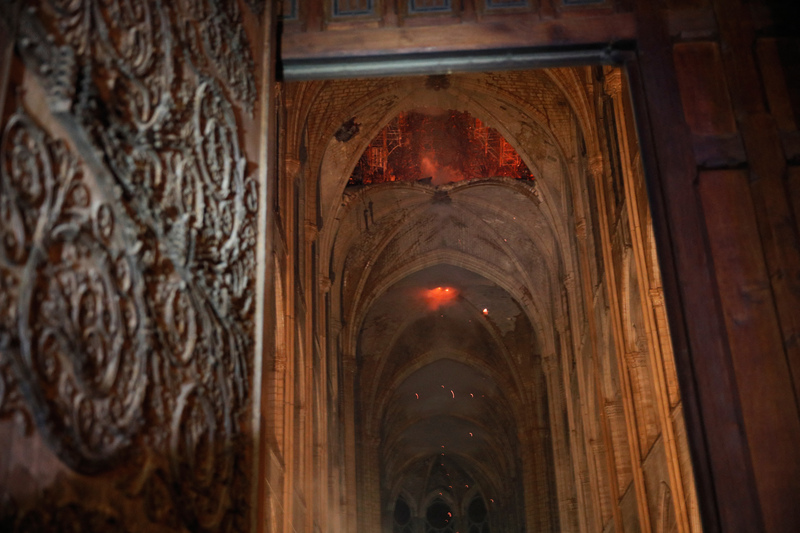 These photos show that far from just impacting the outside of the cathedral, the fire raged through the building and even toppled its roof and spire. 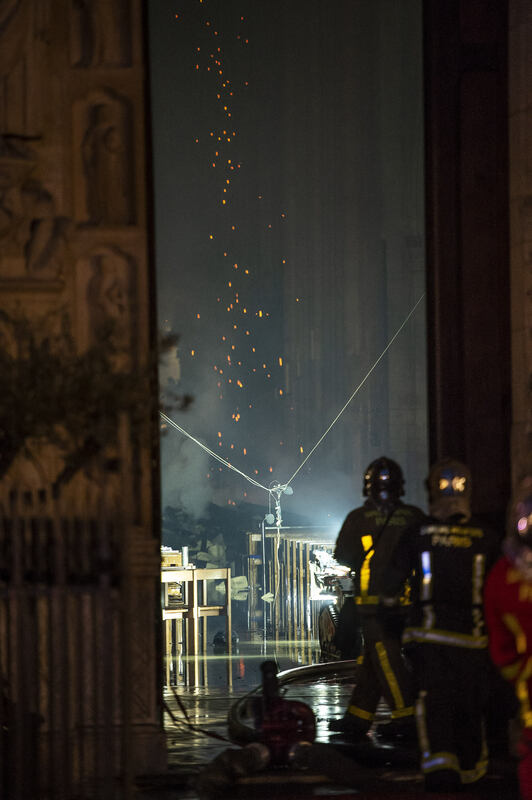 Pictures captured at the scene yesterday show firefighters rushing in to save the main bell towers and outer walls from collapsing and eventually bringing the blaze under control. The fire burned for eight hours and was finally extinguished in the early hours of this morning. The cathedral is home to priceless artefacts, artworks and features, including the Great Organ, which dates back to medieval times, and the Rose Windows, stunning round stained glass windows dating back to the 13th century. There are a number of relics sacred to Christianity within the cathedral&apos;s treasury, including what is believed to be the Crown of Thorns, said to have been worn by Jesus Christ before the crucifixion, and one of the nails from the cross upon which Jesus Christ was crucified. There is also the tunic of Saint Louis, said to have been worn by Louis IX as he brought the Crown of Thorns to Paris. Thankfully, despite the ravages of the fire, there were numerous reports that the Crown of Thorns as well as other sacred artefacts including the tunic of Saint Louis had been saved from the blaze. However, there were a number of priceless paintings that firefighters struggled to remove in time. 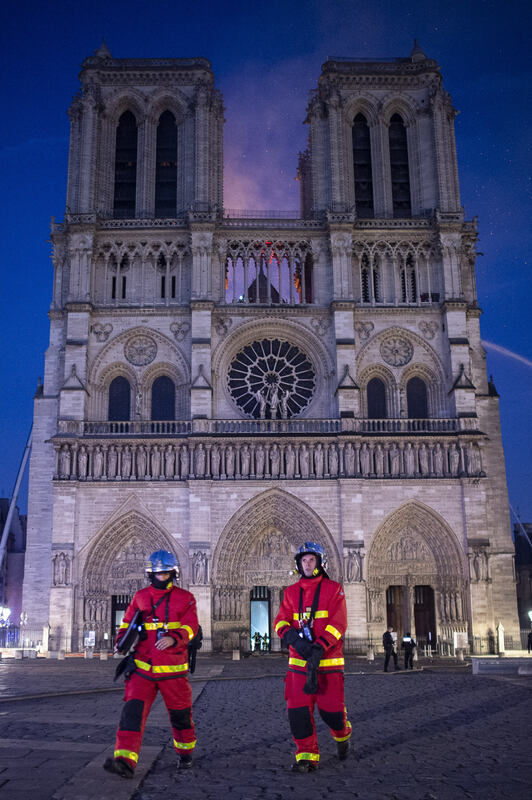 The firefighters also managed to stop the blaze before it affected Notre Dame&apos;s bells, which have rung out at important moments in French history. It&apos;s not yet known whether the stained glass windows and the Great Organ have been saved from the blaze. 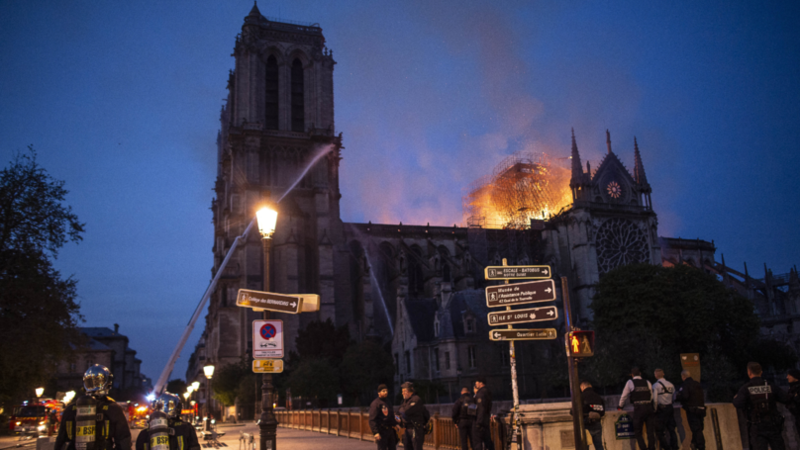 French billionaires Francois-Henri Pinault, the husband of Salma Hayek and CEO of luxury group Kering, and Bernard Arnault, the CEO of luxury brand LVMH, have already pledged hundreds of millions of euros to restore the cathedral to its former glory.